Today I’m going to see the kids at Holland Elementary School in Springfield. Principal there is Gary Tew whom I’ve known for years. When I was researching for a Step Into Reading book, MISS GRUBB, SUPER SUB! that came out in 2005, Gary was at Pittman Elementary School where my friend Maryann Wakefield had been principal before that. When Random House asked me to do the book, it was for a new series called “Write-in-Readers,” meaning that authors would need to leave spots throughout the telling for young readers to add to the story with their own words and pictures. Also by request I wrote the inside page of introduction, called “Dear Parent,” that went in all the books in the series. I went to Pittman Elementary to interview several people about their jobs so that my Super Subb would have the right information. Among those who let me interview them were the custodian, the librarian (Mrs. Lairimore), the nurse (Mrs. Teeling), the head cook (Mrs. Farmer), and, of course, Mr. Tew. I enjoyed the day at Pittman and loved writing the book. So here we are eleven years later and Gary has invited me to Holland. I’ll take along a copy of Miss Grubb to show the kids that their principal is a famous man with his name in a book! 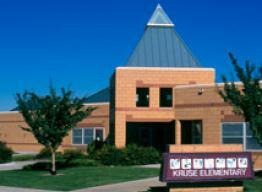 I told you on Wednesday that I’d heard from my friend Susan Hutchens, who has been subbing in a third grade class this week at Kruse Elementary in Ft. Collins, Colorado. When Susan read one of my books to the students – MISS GRUBB, SUPER SUB! the kids were interested in some of Miss Grubb’s activities, such as going outside with “Magic Bags” to gather the wondrous things to be found there. Susan decided to try that activity with her young charges and I asked the class to share with me some of what they gathered. Who knew that I would also harvest a bumper crop of jokes! With full permission from Susan and her students, here are some selected results. My thanks to Miss Grubb for thinking of the whole thing! The rest of the report comes in Susan’s words. I cut 8 1/2 by 11 colored paper into four pieces per sheet, and put three different colors of paper into each magic bag. It was pretty neat to hear what they’d written, and I teared up when one little girl told me that she put ME into her magic bag! How humbling (and wonderful!) to know that I earned a special place in her magic bag! The kids are anxious to look for more things to add to their “collections” tomorrow! Okay – I do have to admit this, though…..one young man made a puppet out of his magic bag! I guess he wasn’t as thrilled with the activity as the others! ha! My little pony stepped on a bunny fell on her face and broke her tummy. Bit Friendly Giant I’m gonna eat you! Charlotte of mosquitoes out tonight! You’re a good author, she’s your friend too. Why are you crying? I did nothing! To Super Sub, Susan Hutchens, and to all of your great kids, I thank you for sharing with us on my blog. Go Cougars! If other teachers decide to try the same exercise, I hope you’ll share your results too!